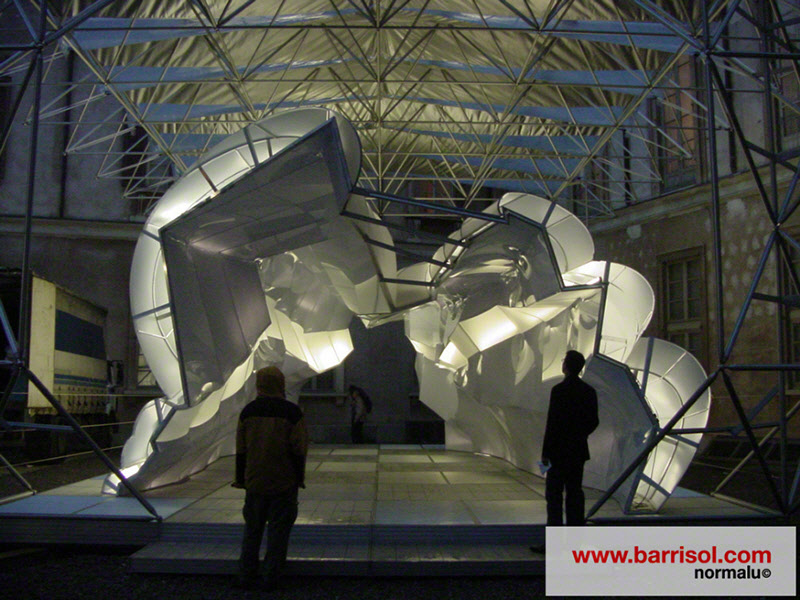 Realized by the architect Peter Eisenmann, this architectural chief of work was presented in the interior court of the Palais Royal of Milan. 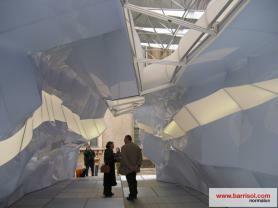 This sculpture unfolds itself on 14 m of length, 4.50 m broad and 4 m in height. 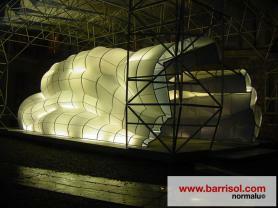 On a technical point of view, this aluminum 3D structure was covered on the external part with translucent Barrisol sheet. Barrisol lacquer's finish was used in the interior structure with an incrustation of Barrisol translucent bands to bring luminosity.